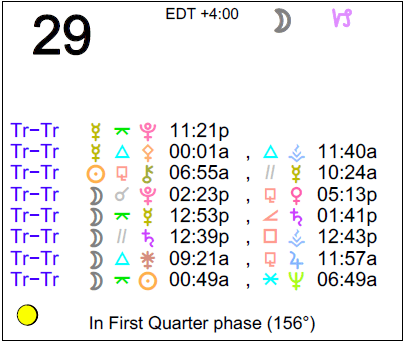 This morning’s minor but challenging aspect between the Sun and Chiron can point to some blocks to confidence. Later today, Mercury is quincunx Pluto, and we can have a hard time getting our message across or coming to a strong decision/conclusion as we may be second-guessing or doubting our choices, or we trigger negative responses from others. We might have a hard time digesting or accepting certain news or information now. The Moon is in Capricorn all day (until the Moon enters Aquarius on Thursday, July 30th, at 5:40 PM). 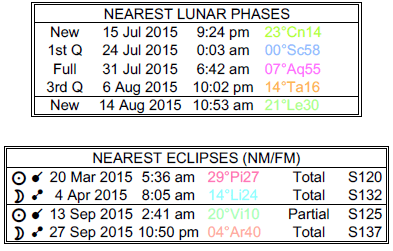 A First Quarter Moon occurred on the 24th, and a Full Moon will occur on July 31st. 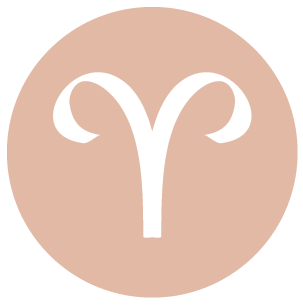 The Moon spends the day in your performance and responsibility sector, dear Aries, and you’ll find yourself more emotionally invested in what you do and how you do it. This, of course, can make you a little more sensitive to areas of imbalance, but it can also motivate you to make improvements. Later today, worries or hurdles related to your work, reputation, plans, or a friendship can figure strongly, but try not to let them interfere with your happiness. Instead, let them point you in the right direction for making adjustments and changes. Work on handling matters that leave you feeling less than confident or even guilty and drained. Taking steps towards fixing problem areas will help lessen tension. Start little and then work yourself up, and you may very well find that taking care of the small things has a way of clearing up the big problems naturally. The Moon spends the day in your adventure sector, dear Taurus, encouraging you to seek out answers, truths, and new experiences. 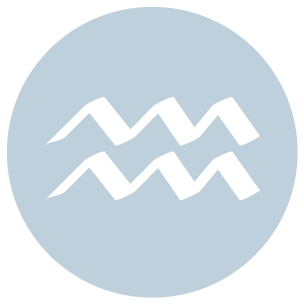 Later today, an awkward Mercury-Pluto aspect can generate suspicions, lack of trust, or worries. This is a day for making minor adjustments and for working on the hurdles that seem to be in your way when it comes to pursuing more enjoyment and happiness. 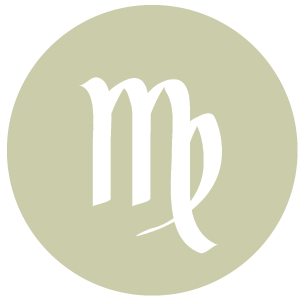 The past can help you to find valuable answers, particularly with your ruler, Venus, retrograde, but if you’re obsessing about it, it’s not going to serve you well. 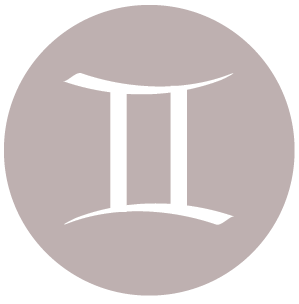 It may not be the best day to seek out understanding or a favor, dear Gemini, as your ruler, Mercury, is in challenging aspect to Pluto, and this energy can leave us wondering, doubting, and possibly on a fence about a matter. At worst, it can stir up resentment or even hostility. It might also be wise to avoid bringing up the past or sharing something important or personal just for now. Keeping certain things to yourself just for the time being can serve you well, but it’s not necessary to be guarded to an extreme. Try not to waste too much time and psychic energy on negative thoughts, and you will learn a lot from observation. The Moon is in your solar eighth house all day, pulling your attention to your own inner workings and perhaps hidden desires. 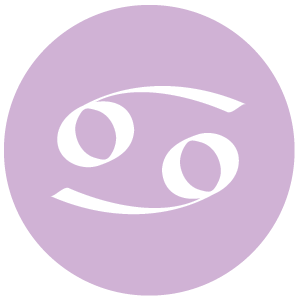 The Moon is spending the day in your relationship sector, dear Cancer, and you’re especially sensitive to the workings of a close relationship. Later today, there can be a subtle strain to your interactions. There could be something that’s said that is either not the complete picture or that stirs up feelings of resentment, perhaps as it seems designed to make you feel guilty. There could be some discomfort about a past matter that resurfaces. For some, it’s about money, and for others, it’s about respect, with Mercury in your sector of worth in awkward angle to Pluto. While you’re emotionally geared to seek out balance today, sometimes the healthiest way to do so is to let go and move on. 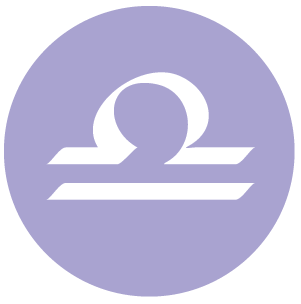 The Moon spends the day in your work and health sector, dear Leo, promoting attention to your daily routines and the little details of life that keep everything together. However, some tension is possible now and if you feel a little drained, it could be a signal that you need to make some adjustments that re-routes you on a healthier path. 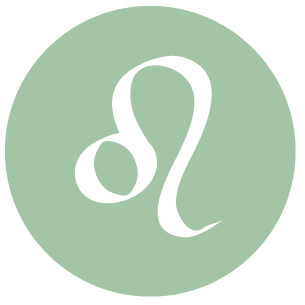 Taking the high road is an admirable Leo trait, and this can come in handy later today when Mercury-Pluto energy can too easily wear people down. There is a tendency to doubt or suspect others, to second-guess your choices, or to say something that stirs up some controversy and possibly hurt feelings. Try not to give too much thought to something you hear that rubs you the wrong way today, dear Virgo. You might suddenly see a person’s hidden agenda, or a frustrating or hurtful past experience can resurface and weigh on your mind. Find something more productive to take your mind off the negative thought patterns – you have better things to do, and deserve to be kinder to yourself. It can be draining to overanalyze or micromanage a situation that may be better left to run its natural course. The Moon’s presence in your creative solar fifth house all day can help nudge you in happier directions. There can be a stronger need to recoup, lay low, and get comfortable today, dear Libra, with the Moon in your home and family sector all day. Later today is not ideal for decision making, but not every moment is. Sometimes we need to observe things a little longer before committing, and other times we may have to learn from our mistakes. There can be a feeling that whatever alternative you pick, you won’t win. There could be a minor dilemma between family and friends, or the need for time to recoup and the need to make connections with others. There could be a communication that seems manipulative or designed to make you feel guilty. In all likelihood, what gets you going now won’t be very important later, so try to focus on the positive and sidestep the mental tension. If it’s your own worries and concerns that keep your mind circling, do your best to let go. 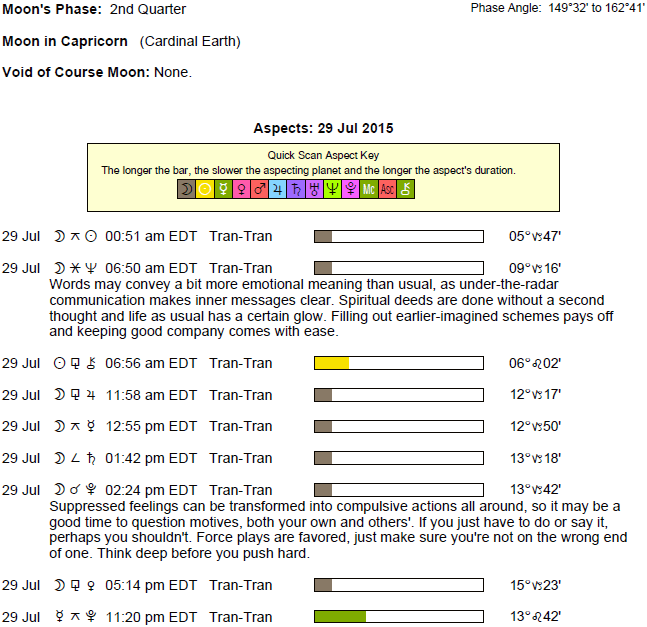 While today’s energies are not particularly strong for confidence, there can be some interesting observations and fair energy for productivity as well. Later today, it’s best to communicate gently and carefully, because Mercury, the planet of communications, is in awkward angle to your ruler, Pluto, which happens to be in your communications sector! There can be an offhand remark that gets to you, even if you’re keeping things quiet, but consider whether it’s worth your attention. The Moon’s position in your solar chart today encourages learning, updating skills, and finding new mental interests that motivate you. 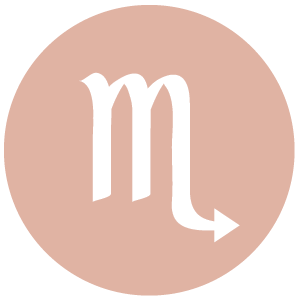 You can learn something completely new today, dear Sagittarius, and while it may be slightly uncomfortable at first, you can be thrilled that you’re reaching out beyond your usual bounds. 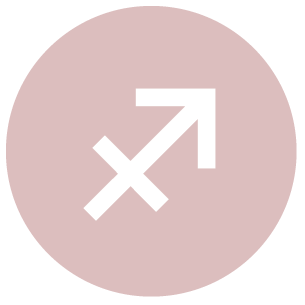 Later today, the communications planet forms an awkward aspect with dark, mysterious Pluto, and this can pull up guilt or worry that you’re losing power or clout. Try to stay in the moment rather than becoming heavy with concern over what hasn’t yet happened. This is not the best time to make a financial decision or a big purchase as it may curtail your freedom to do what you truly want to do. If you find yourself very frustrated with someone’s differing opinion, ask yourself if it’s worth the extra stress that pursuing the matter can cause. The Moon is in your resources sector all day, encouraging you to simplify in order to enjoy what you already have. Patience is key now. 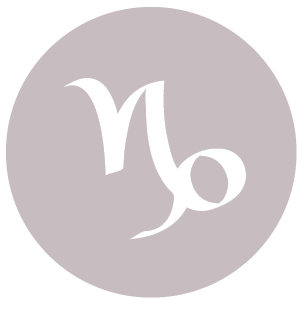 You might learn something today that causes you a bit of discomfort, dear Capricorn, but ultimately it leads you to a better understanding of a relationship or your own internal workings. Commit to face a fear rather than shrink from it. There is a tendency to exaggerate an issue in your mind, or to think negatively about a matter to the point that it becomes larger than life, when nothing much is likely to come of it. Worry is only useful when it is brief and it motivates you to handle a problem. Beyond that, it leads to unnecessary stress. Allow yourself the opportunity to explore surfacing emotions that the day-long visit from the Moon in your sign offers you. 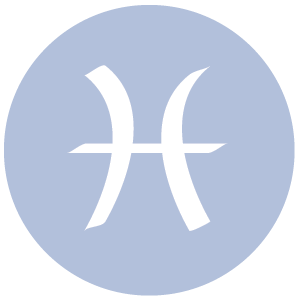 It’s important to address the need for growth in existing relationships today, dear Aquarius, rather than feeling insecure about someone’s need for change. In fact, if insecurity is stimulated now, it may very well be wise to go in the direction of your fear. There is a lot to learn from others and from situations that make you feel less than confident. Later today, a nagging aspect between Pluto and communications planet, Mercury, can if left unattended lead to saying or thinking the wrong thing. Something awkward from the past may resurface for your attention. Try to let go of a tendency to overthink. The Moon is in your privacy sector all day, encouraging much-needed rest. This is a day that shouldn’t be rushed, dear Pisces. You can be feeling strongly about an idea or ideal today and quite eager to share, but another part of you could feel a little hesitant. Emotions may interfere with work or even well-being and health. You might derive special satisfaction from supporting or assisting others, but avoid going so far to please that you begin to feel resentful. Later today, you may be questioning a person or situation, and even your own perceptions. This can be for good reason, but it’s best not to run on doubts alone. Make it a mission to reduce stress, and the best way to do so today is to disengage from negative and tense ideas, or removing yourself completely from difficult environments. 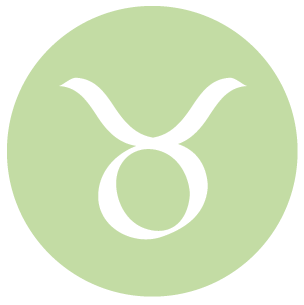 If Your Birthday is July 29th, If Today is Your Birthday full horoscope here. A spiritual awakening is occurring right now. Memories may haunt you. Note your dreams and innermost thoughts and heal past hurts. Re-assessing decisions we have made already, or adjusting our plans, may be in order. Second-guessing. Cnj 02°Aq00 ALTAIR To explore, to be bold. Moon 24° Sagittarius 27' 45"